Know the email address of a missing Sparkplug? Click here to contact them! 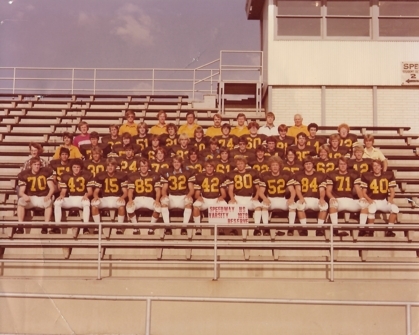 Welcome Sparkplug, to the Speedway Senior High School class of 1979 web page! 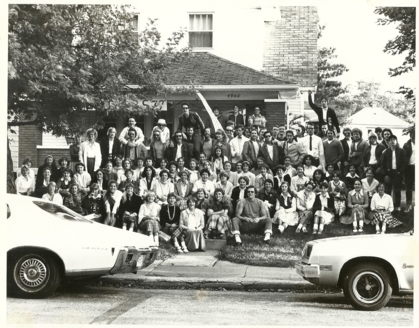 Here you will find information on reunions past and future, individual profiles of our classmates, pictures from 'way back when', surveys,and a whole lot of other fun stuff. Be sure to register. It takes just a few minutes and once you're done, we won't be pestering you again for your contact information. #43, John 'The Reaper' Butterworth! Be sure to complete the class reunion survey. A link can be found to the left of this announcement, in the sidebar. But hurry! You've got until 12/31/2018 to complete it. What's being planned for our 40th? Lots! It all begins with Liz Warren....again....sharing photos and anecdotes of her time in China. Now Dr. Warren (yes, she got a Doctoral degree from USC and now she INSISTS everyone refer to her as Dr. Warren), she will explain to us why, in a country of 1 billion people, the Yellow River got its name. Don't know your Mandarin from your Cantonese? Liz does! Learn to speak both Chinese dialects like a pro. Liz will give immersive lessons to all reunion attendees. Upon course completion, graduates will receive a signed copy of Liz's new book 'From Speedway to Shanghai: My Wonderful Life As A Celebutante'. Trust me, you won't want to put it down. Liz will share her career path, from her humble beginnings as a tugboat captain in the Port of Los Angeles, to her current role as brand ambassador for P.F. Chang's Chinese restaurants. Her new role takes her to lots of exciting California locations: Compton, Cudahy, Hemet, West Covina and more. And what SHS class reunion would be complete without our starlet Liz belting out some of her favorite jazz standards. Pulling from her extensive repertoire, be prepared to hear such classics as 'Take The A Train', 'I Left My Heart In San Francisco', 'Fly Me To The Moon' and more. So get ready! Our summer reunion event promises to be even more Liz-centric than ever before. It's gonna be epic! When typed in to an address bar, the above domains redirect to our class site, Sparkplugs1979.com. 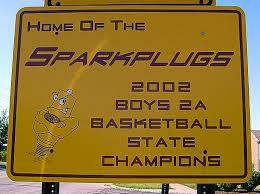 You may be interested to know that SpeedwaySparkplugs.com is currently owned by a Minnesota-based company that specializes in K-12 school names and mascots. SpeedwaySparkplugs.edu appears to be owned by the same company as well.